“I didn’t know what a big deal this was,” was soon-to-be Vicar James Preus’s comment as he entered the fellowship hall at Pilgrim Lutheran Church in Hamilton, Ontario, last Friday evening (22 March). He and classmate, Basil Christoforidis, were guests of honour at this year’s Vicars’ Dinner sponsored by Lutheran Women’s Missionary League–Canada and prepared by women from at the Waterloo and Niagara zones. 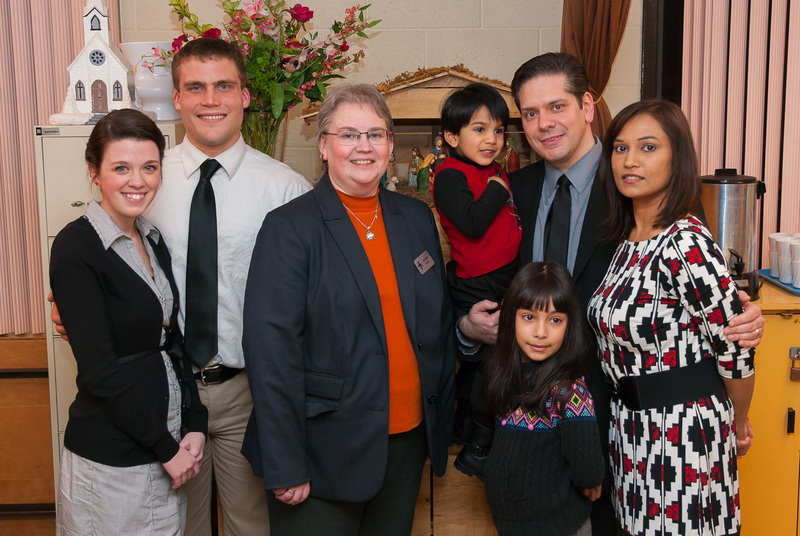 The purpose of the dinner is to alert these future pastors to the wide range of activities and involvement that the LWML members are engaged in and to make them aware of opportunities for additional resources, such as devotional material, and support. Sample materials are provided for the students, their wives and children. 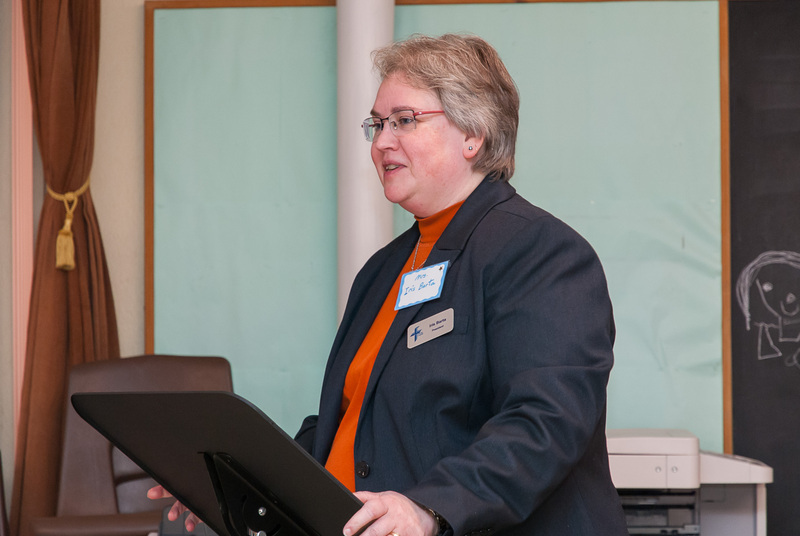 Iris Barta, the current LWMLC president, was on hand to illustrate ways in which their ladies work with pastors, local congregations, districts and even the synod itself in providing funding, collected in “mite” boxes for various evangelism, mission, and social ministry opportunities. Presentations to the students included clergy shirts, a gift certificate. and an additional $250 for the seminary food pantry.